A magnificent exhibition of original M. C. Escher prints available to the public at Industry City in Brooklyn, N.Y. If you live in NYC, you have no excuse but to go. If you don't, make an excuse and come and see it! We told ourselves that it was a teaching moment. Susana Martinez-Conde and I would help our labs’ members to understand the nature of vision by bringing them to see illusory perception carved—using mathematical principles—into wood and stone. But the truth is that we wouldn't have missed it for the world. Maurits Cornelius Escher created 400+ images in his splendid career, and about half of them are on display at Escher: The Exhibition and Experience. In addition to our lab members, Susana and I brought our three young children along too, and took the tour by David Masunaga, who was brought from the National Gallery of Art by the National Museum of Mathematics, as a special collaboration with the Escher exhibition (produced by Arthemisia, Italy’s leading art exhibition producer). If you can join a future tour by Masunaga: do it, it was one of the finest lectures (in any topic) I have ever seen. I was jealous of my kids: they got to do all the hands-on interactive activities with Masunaga during the tour, when he showed the group how to understand Escher's very real contribution to high-dimensional mathematics and to geometrical solids. That may sound dry and complex, but our 6, 8, and 11 year-olds were enthralled—as were we—and the kids later could regurgitate what they learned, so it wasn't over their heads. Outstanding. 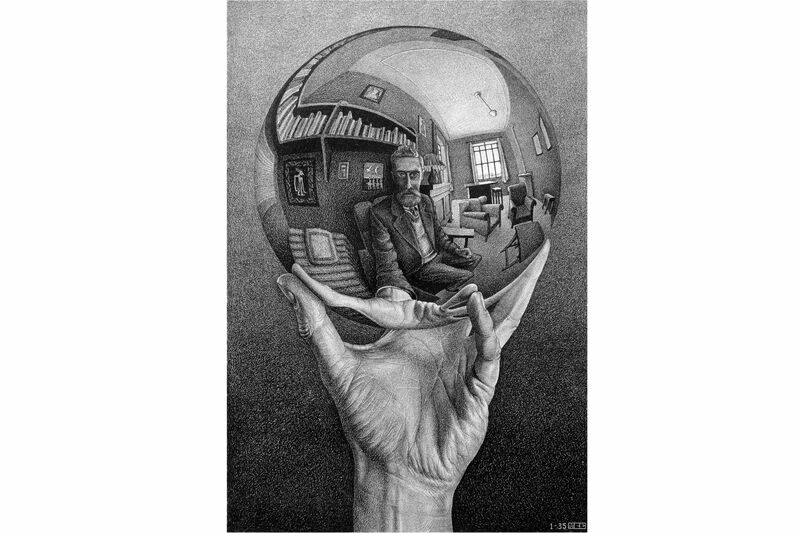 The exhibition brought home just how remarkable Escher was as a technician of his craft. I had read about many of these images in the past, and knew that they were carved in to wood or printed as lithographs, but until now I didn't quite understand how amazing that is. The fact that Escher could achieve a wide range of grayscales by dithering his carved notches in wood, or with (essentially) crayons drawn directly on stone, is mind-blowing. The exhibition details how Escher did it, how he freehanded all of the woodcut print-making with multiple colors of ink himself—personally—and how the process of lithography was achieved. There are movies of Escher actually making some of his most complex prints, which he did on camera with such off-handed ease that it belies that he was performing freehand master-level artwork with tolerances that could not have been more than 100's of microns. 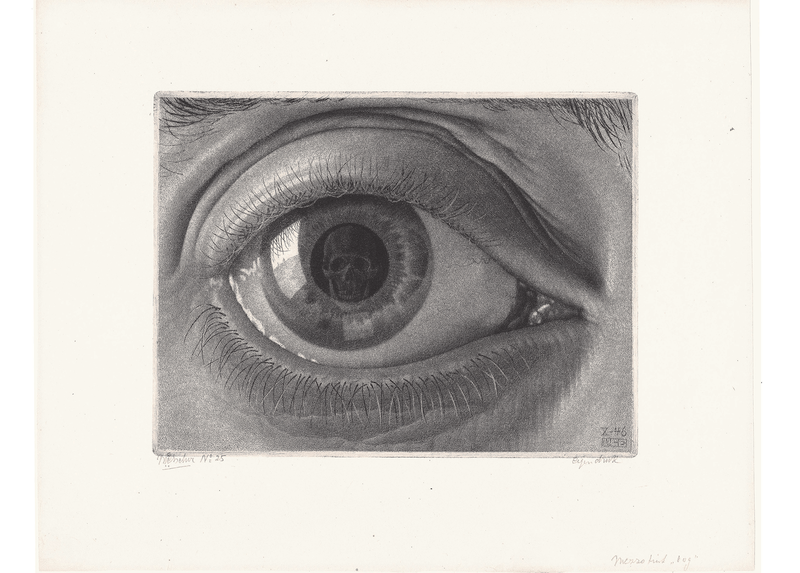 About half of all of Escher's prints are available for viewing in the exhibition, and all of his masterworks are represented (at least all of them I can remember). There has never before been an Escher exhibition of this vast scale. And the exhibit includes several fun additional thought-twisters that use video to put you into the illusory images, such as a room where you can see yourself sitting impossibly on a Penrose Triangle, or an installation that places you within Escher’s reflecting sphere. The exhibition will be open at Industry City on the waterfront in Brooklyn until February 2019: you absolutely must not miss it.